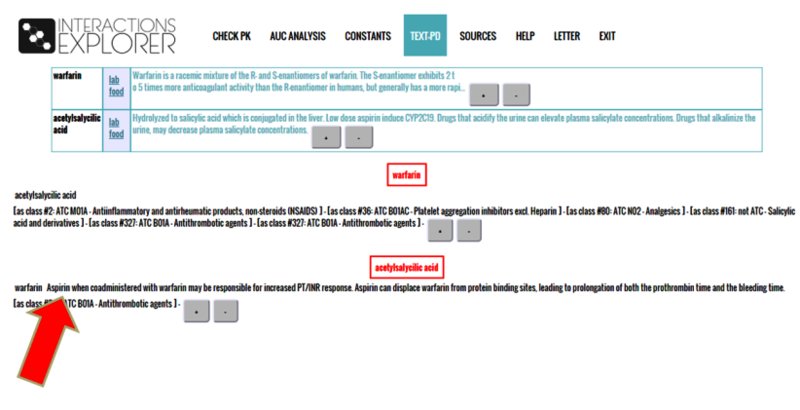 In this section the pharmacodynamic and pharmacokinetic interactions are reported in a textual way. This information is obtained mainly (but not exclusively) by the labels regarding all the drugs selected in the page “Check PK”. This is to resume the parts of the labels more useful for a clinical decision. However, we recommend to always refer to the labels if you want to have a better understanding of the active principles. Inferences can indeed be made looking at the overview of all the interaction data. Labels of the same active principle (alone or as a combination) may give different data about the interactions: our effort was to compose these data. 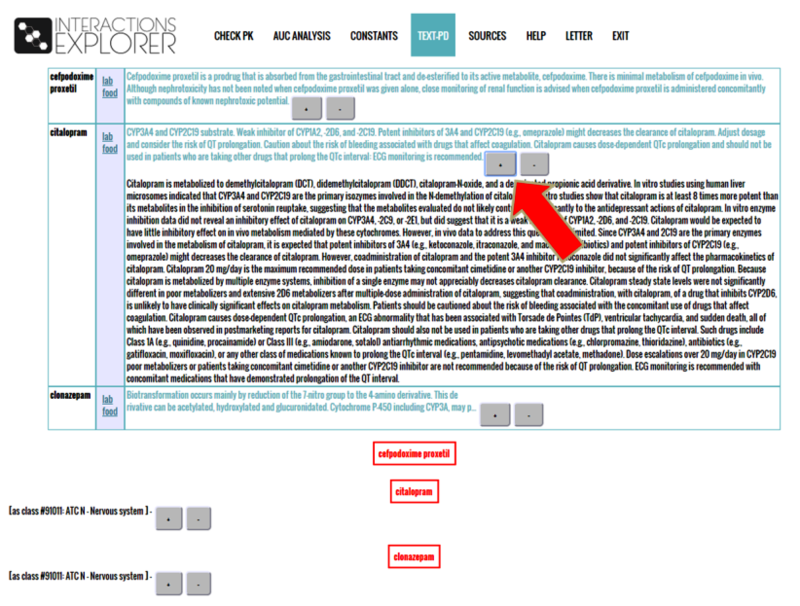 The selected active principles are listed at the beginning of the page. 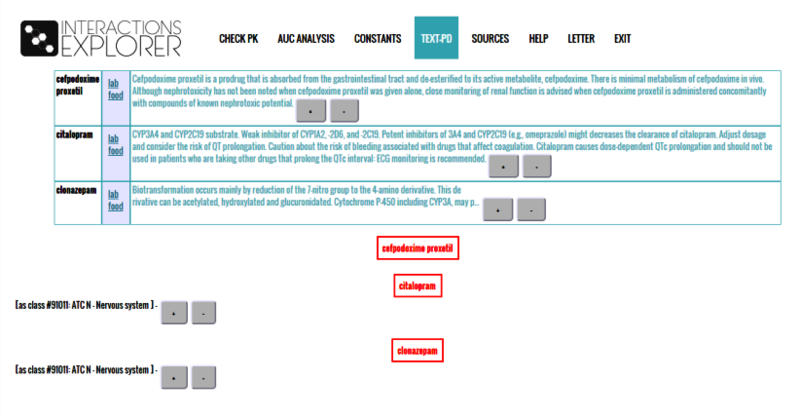 A description of the general pharmacokinetic and/or pharmacodynamic issues is shown in the boxes. Alongside the p.a. listed at the top the words “Food” and “Lab” may appear. 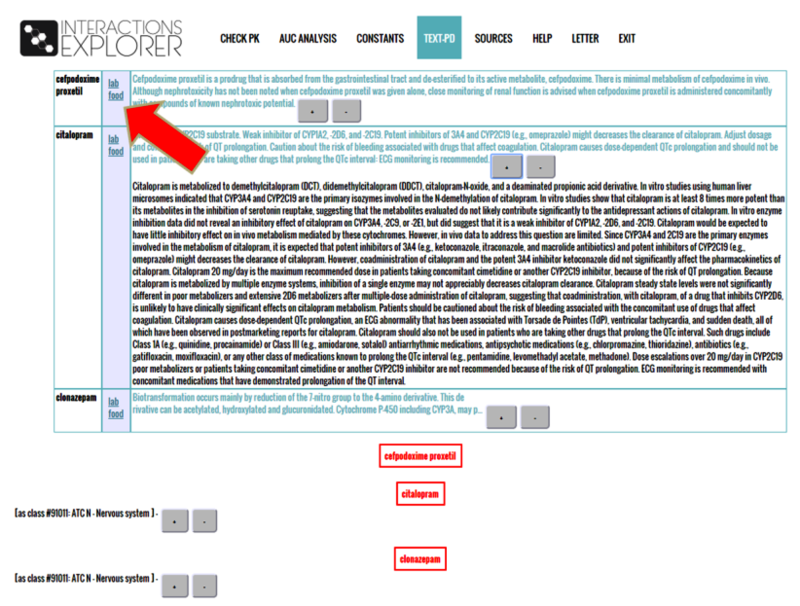 Clicking on “Lab” you will access texts that refer to interactions between the active principle and laboratory data. This refers to whether the drug may adversely affect the diagnostic. Data on changes produced in biochemical parameters as a result of toxicity are not reported. Clicking on “Food” you will access texts that relate primarily to the interactions with food intake and drug absorption. Information on a specific active principle contained in the food, when available, is in the others sections. 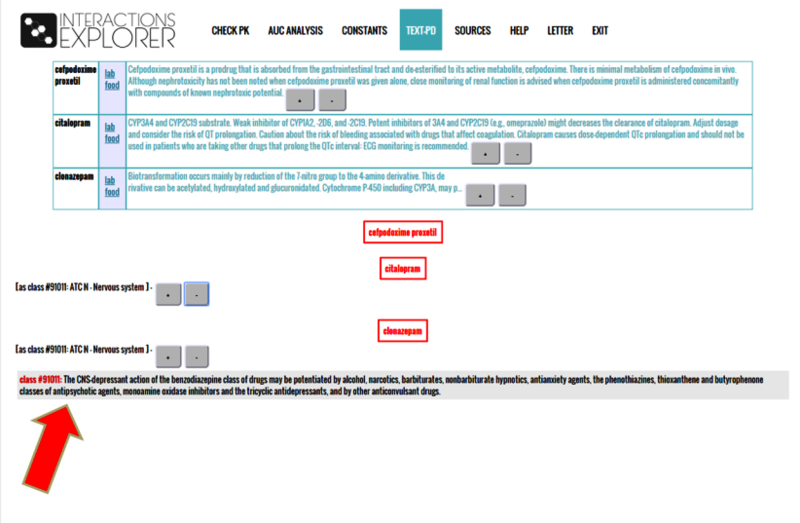 A single active principle can easily belong to several categories of drugs and thus it may be drawn from the database even when its predominant action is another. Data on interactions between drugs and other non-pharmacological treatments (ECT, phototherapy, etc.) are not collected.